In 1913, General William Harwood Stacy (Charles Newning’s partner) and Stacy’s sons began development of Travis Heights. 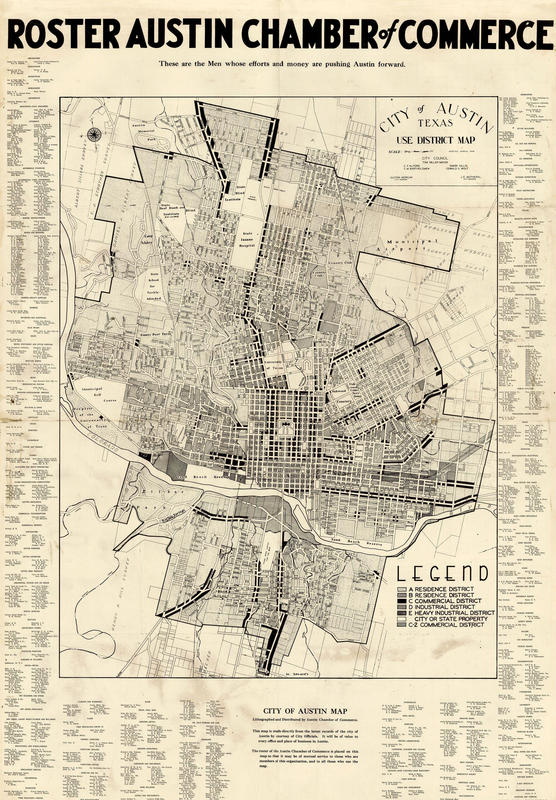 Travis Heights was designed with a range of lot sizes, a street system of both grid and curvy streets, and deed restrictions that prohibit multifamily and commercial uses. Travis Heights was the most heavily promoted subdivision of its time. Stacy provided streetcar service from Travis Heights Boulevard to the Capitol for prospective buyers to see the area before the homes were even built. He also gave away Ford Touring cars as part of a promotional campaign. Based on his earlier experience with Charles Newning and the success of Fairview Park, coupled with his shrewd business sense, General Stacy laid out his South Austin subdivision with both curving and grid streets and provided lot sizes and prices to fit a range of customers, from the builders of modest bungalows to grand home sites with commanding vistas. To promote his properties, the General ran streetcars full of prospective buyers out to Travis Heights from the Capitol. He also incorporated deed restrictions against multi-family and commercial development into his subdivision to reassure buyers that Travis Heights would remain a residential enclave. Travis Heights was an immediate success and a great surge of homebuilding took place in the 1920s, so that by the General’s death in 1928, 600 lots had been sold and more than 160 homes built. After General Stacy’s death, his three sons, Harwood, Gillespie, and Franklin Stacy, took over their father’s interests and continued to develop Travis Heights.